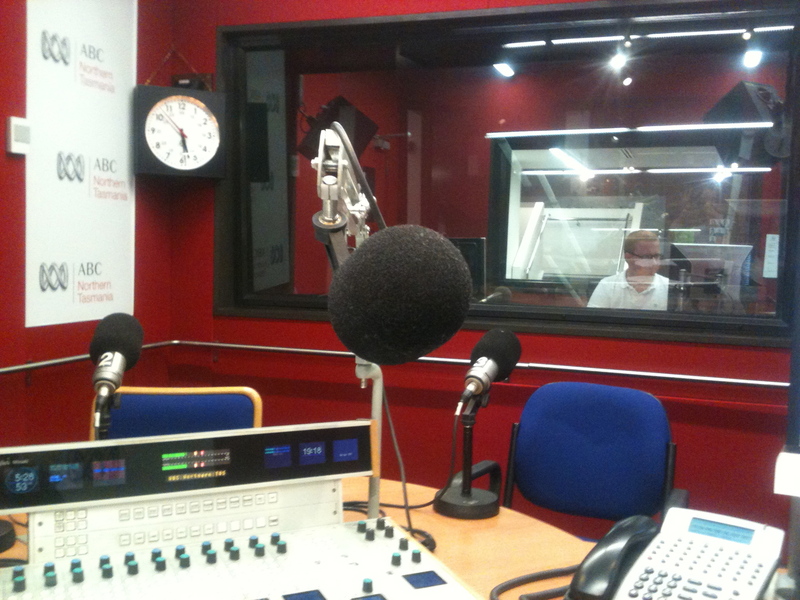 Every now and then I’m asked to fill in as a presenter or producer on ABC Local Radio. I get to talk to interesting people and hope to make their stories come alive for listeners who might even stop what they’re doing for a few minutes to hear something that makes their heart sing or brain churn. As a writer, my day job is to try and keep the world away while writing about it: a more internal world. But radio time is out there: it’s living in the kitchen, or the car, or on a computer, thriving on the magic of now and the language of the spoken voice rather than the written word. They’re different. Last week, the spoken words of Geordie Williamson stopped my day, even though, at 730 in the morning, it was way too early for that. 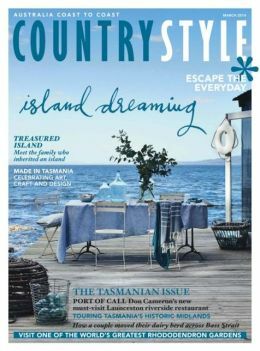 The new fiction editor of Island magazine was inspirational when I interviewed him for ABC Northern Tasmania Breakfast. He said he thought Richard Flanagan was destined to win the 2014 Miles Franklin Prize for his novel The Narrow Road to the Deep North, and that Amanda Lohrey is the best women fiction writer in Australia. Which means, simply put, that two of the best writers of fiction in the country are Tasmanian. Enough, perhaps, to inspire a whole new generation of writers, as well as those who struggle to get published. Anyone is able to submit their fiction to Geordie at Island magazine. And just listen how he wants to hear from you. I flirt with every month but it is March I love. The Pipers River valley view is starting to green, summer laziness tires of itself, and the garden beckons to be nipped ‘n’ tucked up all over again, pert for winter. Suddenly you realise autumn’s circus has rolled into town, as the season’s traffic light starts to reverse from green through amber and red. The deciduous countryside reminds of England, France or Tuscany as much as Tasmania, but those who seek a native autumn will soon be rewarded by a special show. Certain things unique to Tasmania are also unique in the world. Like the leatherwood tree, the Tasmanian devil, and the migrating shearwater, the fagus – also known as deciduous beech – is Australia’s only cool-climate, winter-deciduous tree. You can see its startling colour in late April and May around Cradle Mountain and Mount Field. Scientists remind us that this small tenacious tree that thrives in alpine climes is as much a link to our ancient past as the solid rock that formed Gondawana. We islanders of the southern ocean are slow-lane learning to be most proud of what makes us different: turning the isolation of Bass Strait into a virtue. To lose its leaves is a tree’s defense against winter and the cold. And to stand and witness the changing beauty of the fagus is to know and feel virtue in adversity. Come, winter, bring it on! It’s what makes us truly Tasmanian – and the rest of Australia want to visit.